Our U12 girls claimed 2nd in the Buckinghamshire U12 Girls In2Hockey championship to claim a place at the South regionals to be held at the end of April. 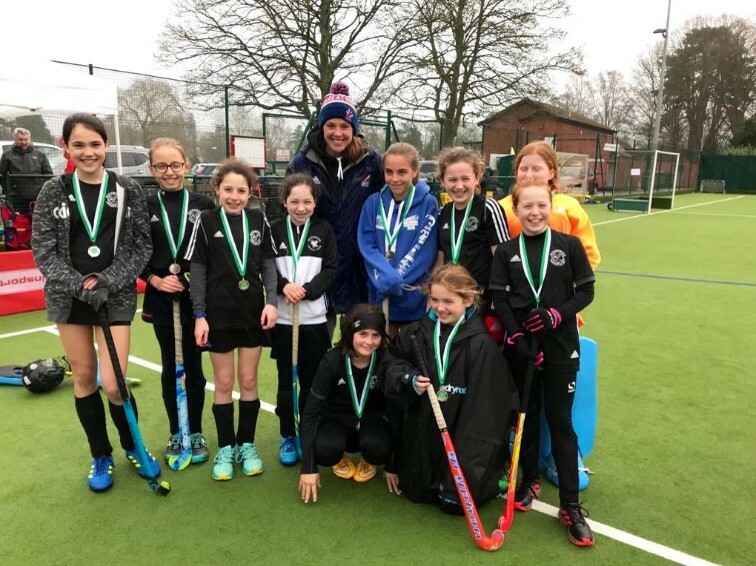 On Sunday 3rd March a well drilled and excited group of U12 girls represented Buckingham HC at the County championships being held at Marlow Hockey Club. Split into two pools to girls came through their initial matches with a 100% record and went into the final vs Marlow to determine who'd be crowned as the Buckinghamshire County champions. Unfortunately the girls came up against a very strong and well drilled Marlow team who ran out 4-0 winners. A tough end to an otherwise brilliant days play! Well done to Marlow and we look forward to seeing you at Surbiton HC for the Regional finals on Sunday 28th April. Any travelling support gratefully appreciated.